Once you expand, upgrading your access control systems becomes even more important. Growth is always a positive sign for a company of any size. Your organization might start out as a small business, but sooner or later you will expand. Once you expand, upgrading your access control systems becomes even more important. Let’s find out why this is. Rapid expansion is a sure sign of your company’s prosperity. After all, you are thriving enough to become a major player in your industry along with hiring new employees as quickly as they can apply. However, amidst all of this excitement, you must remember to update your access control systems. Delays in access could leave your newest employees feeling left out or as though they are not part of the team. This discrepancy is your first indication that you need to modernize your current access control system. The downside of high growth is the potential for a turnover right that is just as high. Previous employees who no longer work for you might not have returned their keys or access cards. However, this doesn’t mean they are responsible for any thefts that might take place on your commercial property. However, you need to keep better track of who can access your premises, and if your current security system just isn’t working, then it’s time consider a system overhaul. 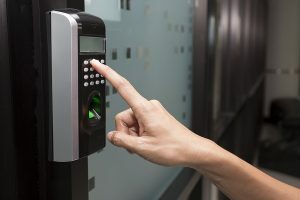 Your company might have once been at the forefront when it comes to embracing new trends in access control technology. But now it’s entirely possible that your competitors have surpassed you in this regard. So, don’t be afraid to overhaul your current access control systems. If, for instance, your system has not been well maintained and remains as the same as it was when it was first installed a decade or two ago, then you need to upgrade. Technology has taken huge strides since 1998, and even more so since 2008. If you want your business to stand out from the pack and be seen as a cutting-edge company, it’s not enough to get all of the latest technology such as top-of-the-line computers, printers, and TVs. You’ll also need an access control system suitable for the reality of 2018 and beyond. While keys still have their purpose, the access control system is the way of the future. This entry was posted on Thursday, March 15th, 2018 at 9:24 am. Both comments and pings are currently closed.